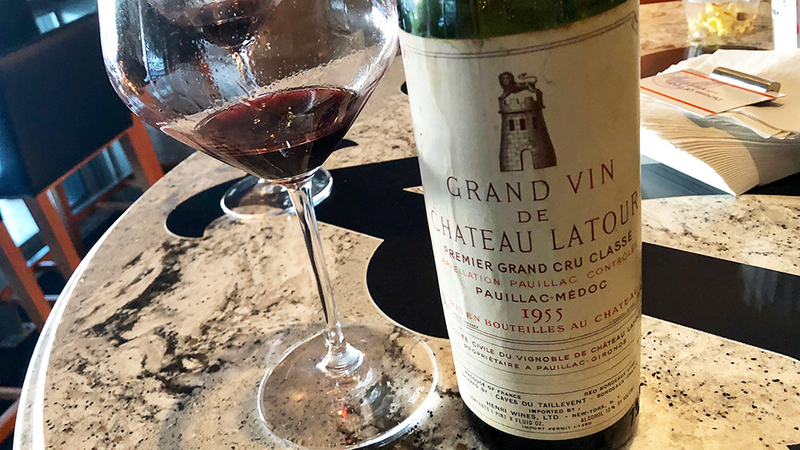 From the moment it is opened and served, the 1955 Latour is simply regal. Floral and remarkably bright for a wine of its age, the 1955 offers a level of pure seduction that is hard to capture with words. I am not sure where to start. The bouquet alone is incredibly alluring. On the palate, though, the wine is even better. Silky tannins enrobe a core of soft red-toned fruit. Sure, the 1955 doesn’t have the power of the 1961 nor the radiance of the 1959, but it is nevertheless exceptional. These days, bottles like this are usually served in big tastings with many other wines and large groups of people. Of course, those are often amazing tastings. But on this night, there was just the 1955 Latour and a small group of six friends. The 1955 won’t be the longest-lived Latour, but readers lucky enough to own it can look forward to another two decades of sublime drinking. Special thanks to a dear friend for sharing this bottle, purchased directly from the Taillevent cellar many moons ago. 95/Drink 2018-2038.